Search engine optimization is the process of optimizing your website and online content so that a search engines like Bing, Google, Yahoo push you to the top of organic (non-paid) search results. Quality SEO services are often the difference between a thriving and failing business. TrueITPros has the expertise to help you with your business SEO and Digital Marketing campaigns. According to research, 72% of people searching for goods and services use Google. If you want to be in the top search results you need an expert in the art of SEO. TrueITPros will provide you with the SEO services to complete your digital marketing campaigns to drive your business to the next level. Our digital marketing gurus start with a complete on-page and off-page audit of your business website or you can request a FREE SEO audit by email. We then research current search terms and keywords relative to to the products and services offered by business. After that, we rank your site for those search keywords and then perform comparison audits of two competitors. After 30 days we report your ranking improvements to show you real progress. Everything we do is measurable. 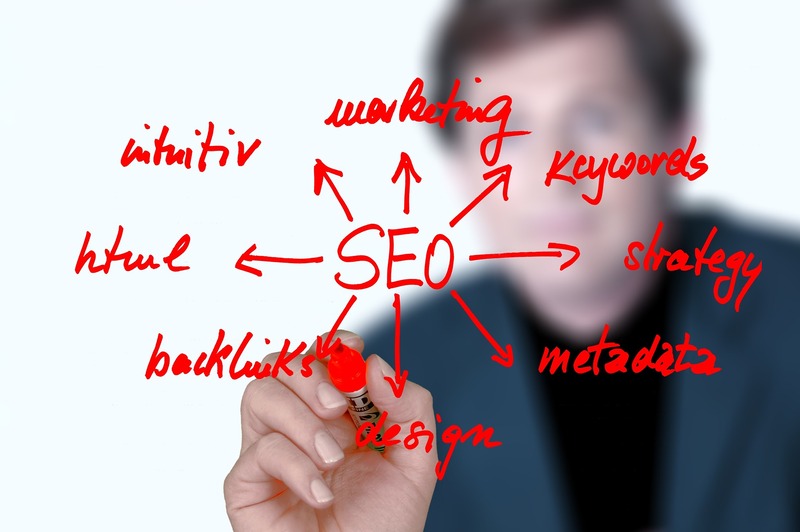 Our On-Page SEO services involve the overall content structure and keyword optimization of your website. We comb through every detail of your website to ensure that your website pages, meta tags, titles are optimized for search engines. Our online marketing specialists have the latest in training and education to produce measurable results for your business. Off-Page SEO refers to the work done beyond the content and structure of your website. Off-Page optimization is equally important to a businesses organic (non-paid) rankings within search engine results. A websites relevance, authority and popularity all contribute to improving search rankings. This includes online reviews, directory listings, and high quality websites linking to your website. Our SEO specialists help manage and build your businesses online presence. Improving and building the number of inbound links to your business website is critical to SEO success. When done correctly, quality links to your site will improve a website’s ranking. Search Engines use links from reputable sites to your site to determine the quality of your website content. TrueITPro’s team will help you build the links necessary to improve your position. Mobile optimization is a key factor in search engine visibility. Statistics indicate that more people are searching on their mobile devices than desktop computers. As such, people are much more likely to leave a site that is not mobile friendly. Google is now taking “a mobile first” approach to indexing and ranking websites. If your site is optimized for mobile performance it will result in higher search rankings. TrueITPros specialists can help you gain a competitive advantage. With users on the go and requiring information quickly it’s very clear that mobile device search will continue on the upward trend. 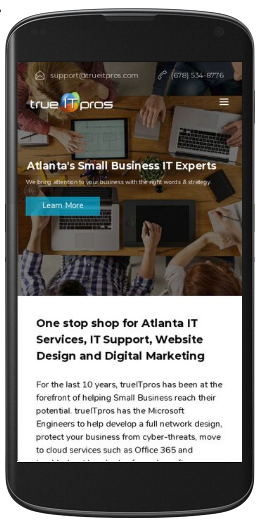 TrueITPros online marketing specialists will focus on mobile users first when developing your site rather than trying retrofit a site that was built to perform on desktop. As a result, your business will have the advantage when it comes to organic rankings on Search Engine Results Pages.